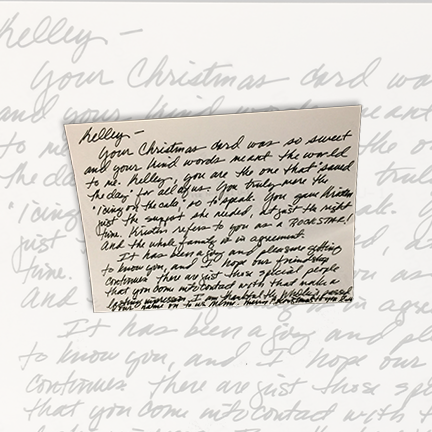 Your Christmas card was so sweet and your kind words meant the world to me. Kelley, you are the one that “saved the day” for all of us. You truly were the “icing on the cake,” so to speak. 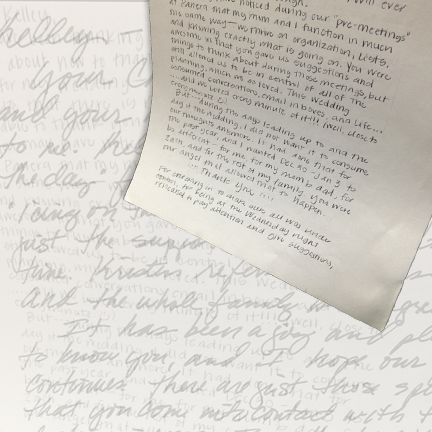 You gave Kristen just the support she needed, at just the right time. Kristen refers to you as a ROCK STAR! And the whole family is in agreement. It has been a joy and pleasure getting to know you, and I hope our friendship continues. There are just those special people that you come into contact with that make a lasting impression. I am thankful the Wholeys passed your name on to us. Where do we begin to thank you for all your guidance and advice for Jordan’s spectacular wedding? You were instrumental for Jordan, our family, and our guests to experience the wedding of our dreams. 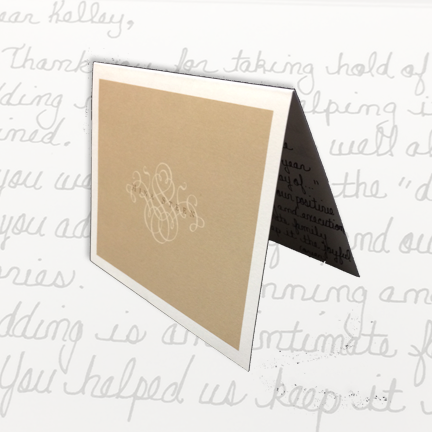 We continue to receive daily e-mails and thank you cards from family and friends who can’t thank us enough for inviting them to the “wedding of the decade.” All the details and plans were all recognized and appreciated. Your excellent communication skills with all our vendors resulted in a very smooth and enjoyable event. 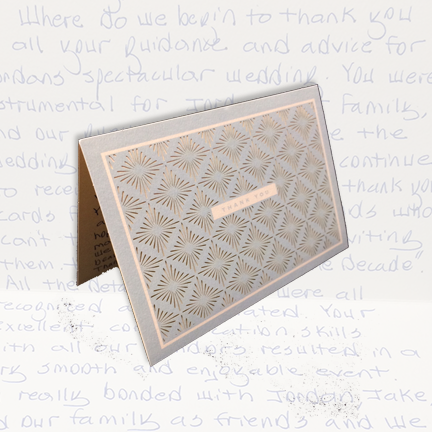 You really bonded with Jordan, Jake and our family as friends and we hope to return that friendship with many wedding referrals for you! We could not have enjoyed such a beautiful wedding without you. Please excuse the legal pad. I can’t find my stationery! 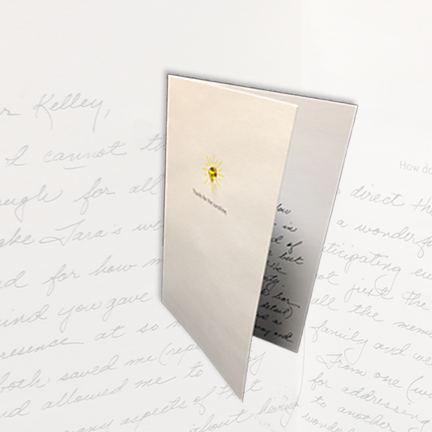 I could go on and on – you are connected to us from now on, and we are so blessed to have you around. You were wonderful to Caroline and you did a wonderful job for her. Bailey and I so appreciate all you have done. We’ve added a little to the check as a small token of our thanks. 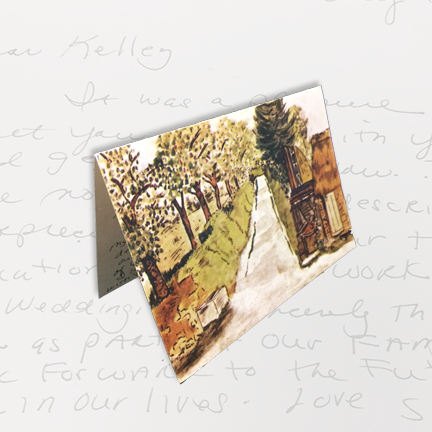 I have been thinking a lot over the past few days about how to thank you for all that you did for my wedding – and I’m beginning to realize that there is no way that I will ever be able to thank you enough. But…during the days leading up to and the day of the wedding, I did not want it to consume our thoughts anymore. It had done that for the past year, and I wanted Dec. 30-Jan. 3 to be different for me, for my mom and dad, for Zach and for the rest of my family. You were our angel that allowed that to happen. Thank you. For checking in to make sure all was under control, for being at the Wednesday night rehearsal to pay attention and give suggestions, for the reminder text messages, and willingness to be there for every second. For taking care of the important stuff – our gifts, guest book, flowers, coats, snacks, crystal champagne flutes … keeping us hydrated during the reception, and for finding the answer to literally every question. My family and I looked at each other numerous times during the day and said wow, this is FUN! Why are we not stressed out? How weird! It was so enjoyable for us, so thank you for taking us out of our usual – that desire to have the control – this was definitely NOT an ordinary week. You were just the best. On a more personal note, I hope you had fun. You were such a blast to have around. Our entire wedding party absolutely adored you, and clearly you had a few admirers at the reception. I am really glad that you stayed – it made us feel good that you would even want to! Zach and I felt bad that you were still fetching us water when you were off the clock, but we hope you managed to fit some fun in there. Thank you so much for everything – your work, your energetic personality, and for being there through it all. It was a great week leading into a great new life for us. Thank you for taking hold of our wedding vision and helping it be attained. You steered us well all year and you were terrific on the “day of…” Plus, you added to our fun and our positive memories. The planning and execution of a wedding is an intimate family time. You helped us keep it the joyful and balanced emotional event that we hoped for. Plus, you added special touches and wise experience. Matt and I had a fantastic time at our wedding! We cannot thank you enough for all that you did to ensure that the day went perfectly! You were so helpful the whole day! Everyone loved you! We just wanted to express our gratitude. It was a very important day to us and we’re so happy that we were able to cherish all of the special moments with friends and family! Thank you so much for everything!!! We hope to stay in touch! I cannot thank you enough for all you did to make Tara’s wedding so special, and for how much peace of mind you gave me. Your presence at so many moments both save me (repeatedly!) and allowed me to enjoy the many aspects of that special week without having to direct them. You do a wonderful job in anticipating every need of not just the bride but all the members of the family and wedding party. From one (who has high bar for addressing every detail) to another, you did a wonderful job in every way and provided the best gift a MOB could ask for! 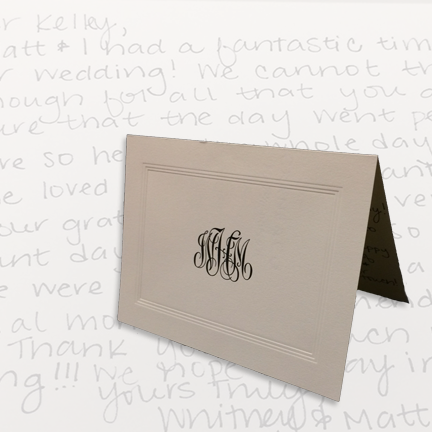 We want to sincerely thank you for all of your help, support and advice throughout our wedding planning process. It meant so much that you cared about us and our weekend, and you were so wonderful to work with the entire time. You took the time to get to know us, our families, our customs, and helped us plan and execute the best weekend of our lives! You were calm, efficient and we completely trusted you with all the details. 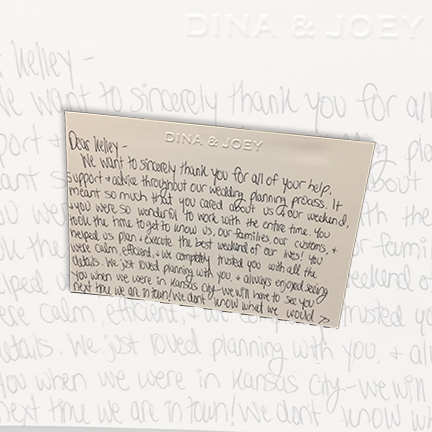 We just loved planning with you and always enjoyed seeing you when we were in Kansas City. We will have to see you next time we are in town! We don’t know what we would have done without you, and of course we’d be more than happy to refer you to any other potential clients! Thanks again and please stay in touch!! You are worth your weight in gold, and then some, since you don’t weight much. Thank you, thank you for twirling magic and making sure that all systems ran smoothly and seamlessly – mysteriously. Thank you for orchestrating with all our event vendors and checking and rechecking with them. Your work eased our work so that we could more fully enjoy the process, weekend and wedding day! A lot of planning goes into one event – thank you for helping us pull it off and throw a successfully great party! We had so much fun! And we are humbled by the outpouring of love, support and celebration by our family and friends. I so enjoyed working with you and getting to know you. And I deeply appreciate your excitement and enthusiasm! Take sweet care – and wishes for a festive holiday season! It was a pleasure to meet you, work with you and get to know you. There are no words to describe my appreciation for your total dedication and hard work for our wedding. I sincerely think of you as part of our family. I look forward to the future with you in our lives.